Australia Remember This Too! is a photographic celebration of nostalgia, particularly for Baby Boomers, 114,000 of whom follow the `Australia Remember When' Facebook page, sharing their photos and memories. Remember Mike Willesee's A Current Affair from the '70s? Fairy bread with hundreds and thousands at every birthday party? Remember takeaway fish and chips with lots of salt and vinegar and Dad carefully dividing a brick of ice cream into equal portions to go with Mum's homemade preserved peaches? Oh, sweet memories! 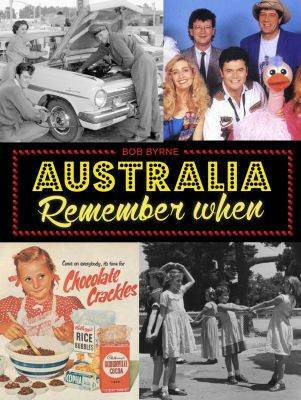 Take a wonderfully sentimental trip down memory lane with Bob Byrne as he shows us bits of Australia we'd forgotten, identities and landmarks we loved and let him remind us that some of the best things about Australia haven't changed. Buy Australia Remember This Too! by Mr Bob Byrne from Australia's Online Independent Bookstore, Boomerang Books.